Gregory A. Richards, Jr. - Tampa Full-Service Law Firm | Allen Dell, P.A. Gregory Richards joined Allen Dell as a shareholder in 2013, continuing his extensive legal practice in the Tampa Bay Area. Mr. Richards serves as President of Allen Dell. 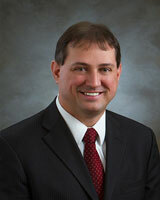 Mr. Richards practices exclusively in the areas of tax, trust and estates.